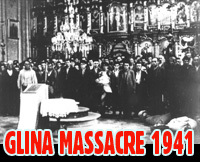 The criminal actions "Flash" is the greatest suffering of Serbs in the Western Slavonia (which was part of Serbian Krajina), which was conducted by the Croatian military, paramilitary and police forces of the 1st and 2nd of May 1995 under the leadership of Franjo Tudjman with the intention of ethnic cleansing of Western Slavonia. 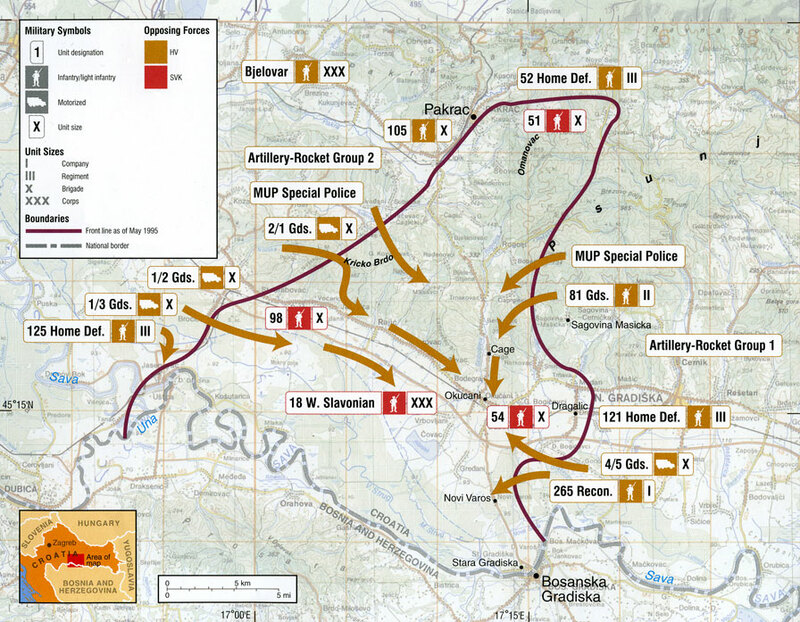 At the time of the attack, the area of ​​Western Slavonia was under the protection of UN forces. In just 36 hours expelled more than 15,000 Serbs, 283 of them were killed or disappeared, including 57 women and nine children. Army of FR Yugoslavia and Army of the Republic Srpska did not respond, didn't they included current "Flash" lasted. 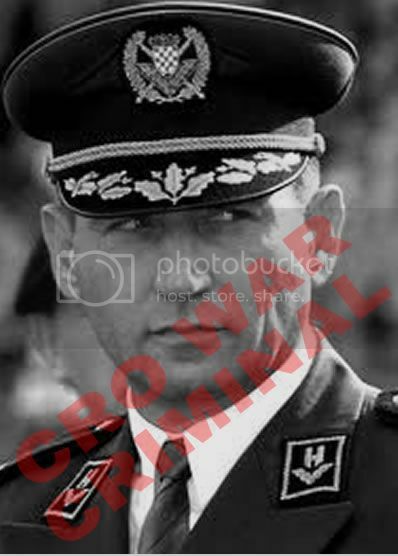 Hague tribunal genocidal action "Flash" is not particularly processed but during the trial of Croatian generals: Ante Gotovina and Mladen Markac 2006-2012 mentioned that there were crimes, but Gotovina and Markac are responsible, at least according to the appeal judgment of 16.11.2012. Thus began the war that lasted four years. In this war has created the Republic of Serbian Krajina, which included Northern Dalmatia, Lika, Kordun, Banija, Western Slavonia and Eastern Slavonia, Baranja and Western Srem. In April 1992, the central Yugoslav republic of Bosnia and Herzegovina, tensions begin to boil and begins a bloody war between the three nations, which lasted three years. In this war has created the Republic of Serbian. Muslim and Croatian army units in Bosnia and Herzegovina also had lots of criminal actions, which led to the ethnic cleansing of the Serbian population in Sarajevo, Srebrenica, Bihac, Mostar, Gorazde, Tuzla, Orasje, Capljina, Zenica, Visoko, Odzak, Duvno, Livno, Bugojno... systems were established concentration camps for the torture of Serbs (Dretelj, Duvno, Celebici, Sarajevo, etc.). Croatian army and police during the war in Croatia (1991-1995), had a series of criminal actions such as: "Miljevački plateau", "Maslenica", "Medak Pocket" ... Also raised was the ethnic cleansing of Serbs in urban area: Sisak, Gospic, Zadar, Osijek, Vukovar, Karlovac, Zagreb, Split, Dubrovnik and others. They are still at large, crowned with glory Croatian national heroes. 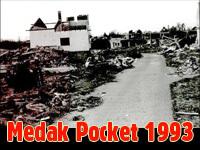 Operation "Flash" started the morning at 5 o'clock on 1st May 1995, the artillery attacks on Serbian positions Pakrac to Jasenovac, on the west side of the village Donji Bogicevac over Medara to Pakrac to the east. 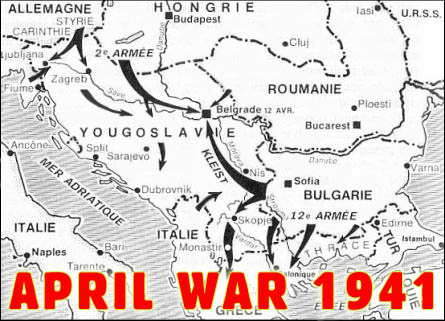 Around 16,000 members of the Croatian forces attacked from several directions less than 4,000 west-members of the Corps of the former Serbian Krajina Army 1st May at 5.30 pm, and the population has swollen to sleep. Around 06 pm, Croatian armored Brigade entered the "buffer" zone, which is in the region of Pakrac supposed to protect members Jordanian UN forces. Sudden impact severed the towns of Pakrac and Okučani with the environment and the surrounding Croatian forces found 6,000 Serbs, which means that the attacker was higher than the population in this area, a ratio of four to one soldier. UNPROFOR Command confirmed it had received notice of the beginning of the attack on Western Slavonia, which did not cite reasons. After the start of the operation, Jordanian (UN forces) have withdrawn to their bases, from which they watched the suffering of people who were obliged to protect. Croatian Interior Ministry announced that the attack on the Republic of Serbian Krajina, a "police operation" which "wants to ensure the safety of the passengers on the highway Zagreb-Lipovac," attributing her "local character". The refugee convoy of Serbs, who were rescued before the Croatian army and police on their way to the Republic of Srpska were killed or missing 283 people, including 57 women and nine children. Serbian refugee camp were targeted air bombs and cannon shells. Around 1,500 members of the Army of Serbian Krajina were captured, most of the fraud with the help of the UN Protection Force. After the capture of Croatian courts convicted a number of Serb war crimes of all kinds, of which 18 are still men are serving long prison sentences in the infamous prison Lepoglava. The Hague Tribunal on 15 April 2011, found guilty and sentenced to prison Croatian army generals Ante Gotovina to 24 and Mladen Markac to 18 years in prison. They were convicted for participation in a joint criminal enterprise led by Franjo Tudjman, whose goal was that during and after the operation "Storm" and "Flash" forcibly and permanently remove the Serb population from the Krajina region. The Hague Tribunal found them guilty of the crimes of persecution, deportation, plunder, destruction, murder, inhumane acts and cruel treatment, and acquitted them of responsibility for the forcible transfer of population. 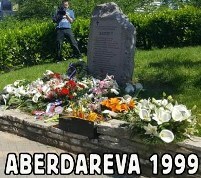 Krajina Serbs 2 and 3 May 1995 in response to the "Flash" bombed Zagreb, where six people were killed and about 150 wounded. The bombing of Zagreb after the "Flash" in the Hague Tribunal rendered a judgment the President of the Republic of Serbian Krajina, Milan Martic of 35 years in prison. All these facts are known and the Hague Tribunal, which has no investigation was not opened for this crime. But it is the same court, but on July 25, 1995. The accused, Milan Martic, former president of RSK, because 2 and 3 May 1995 "not abiding by the laws and customs of war, in retaliation issued no instructions to military forces RSK to ranatiraju Zagreb ", which resulted in killing seven civilians. "When you see that you do not want in Croatia, why did not you pick up and go to Serbia? Instead, you have made the trouble yourself and Croats. " The Serb population, after the expulsion of Western Slavonia, mostly scattered around the world (Republic Serbia, Australia, Canada, USA, Germany ...), far from their homeland. He returned to the small number of people, mostly elderly. Documentation and Information Center "Veritas" notes that in the period 1996-2006 to their homes in Western Slavonia returned about 1,300 displaced Serbs. Serbian returnees are not welcome in Croatia. The constant threat of having their assets and usurp or destroy.